Standing behind a bright pink poster of a giant sprinkled doughnut, Halina Fimbres pressed samples into the hands of passersby. "You have to try this one. It's a like a cinnamon roll, but in a doughnut. It's delicious," she said. "Enjoy it! 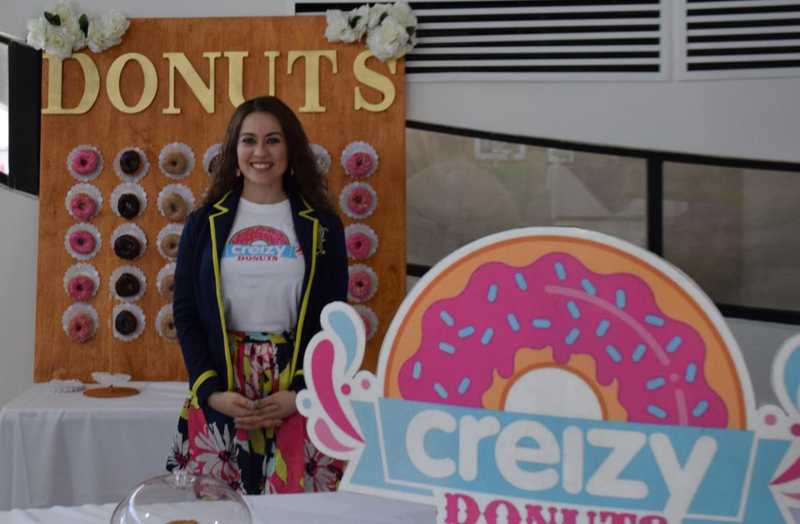 "Fimbres is a 31-year-old entrepreneur who started her doughnut-making business Creizy Donuts in Nogales, Sonora just over a year ago. She's said she thinks her's is the only doughnut shop on either side of the border in Ambos Nogales, or both Nogales.